T-Pren joints can be placed at a maximum distance apart of 6 metres. 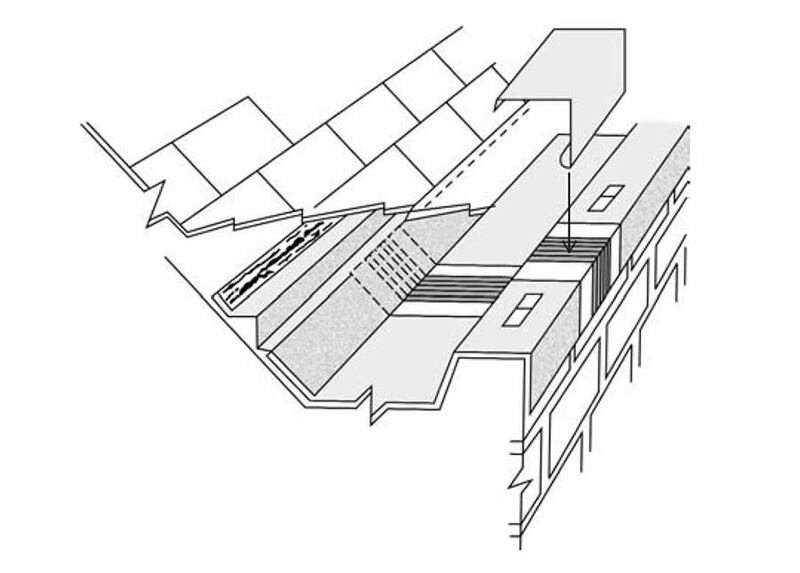 Where movement is restricted by an outlet or corner for example, an expansion joint should also be sited within 1 metre of that restriction. However, the joint spacing depends on the metal and the gauge used. 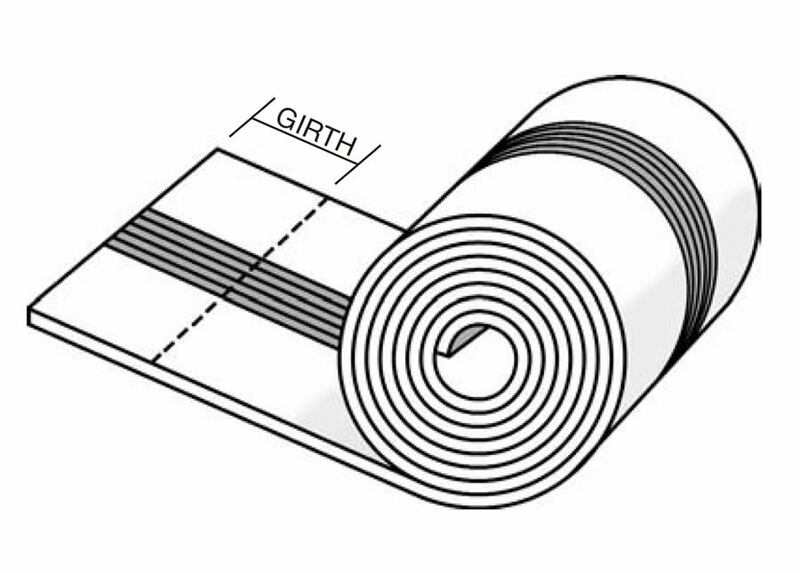 For most metals, sheets up to 6 metres can be used by correct choice of gauge, although shorter lengths might be used for ease of handling or where thinner gauges are preferred. For lead, however, the Lead Sheet Association recommend a distance of 2 metres for Code 5 lead increasing to 3 metres for Code 8. A length of T-Pren is first cut from the coil to go round the girth of the gutter. This is jointed to the metal sheets, the length of which gives the correct joint spacing as mentioned above. The metal sides of the T-Pren should overlap the metal sheets by a minimum of 25mm and the joint should be made at least 75mm from the neoprene, or 100mm for aluminium and copper due to their better conductivity. The neoprene and its joint with the metal are resistant to heat but it is wise to place a cold metal surface underneath, as the joint is being made, to conduct away the heat. Caution is required when brazing or welding and it may be necessary to cover the neoprene with a damp cloth to prevent damage from conducted heat. Naked flames should be kept away from the neoprene at all times. The jointing process depends on the metal. 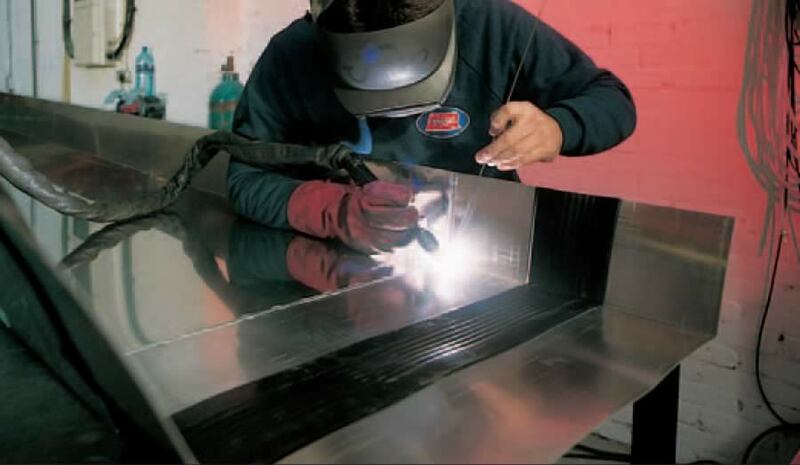 TIG welding is best for aluminium and stainless steel, but low currents must be used on these light gauge metals. Copper joints can be soldered but brazing will make a stronger joint. Terne coated stainless and zinc are best soldered, and where additional strength is required the overlap can be rivetted before soldering. 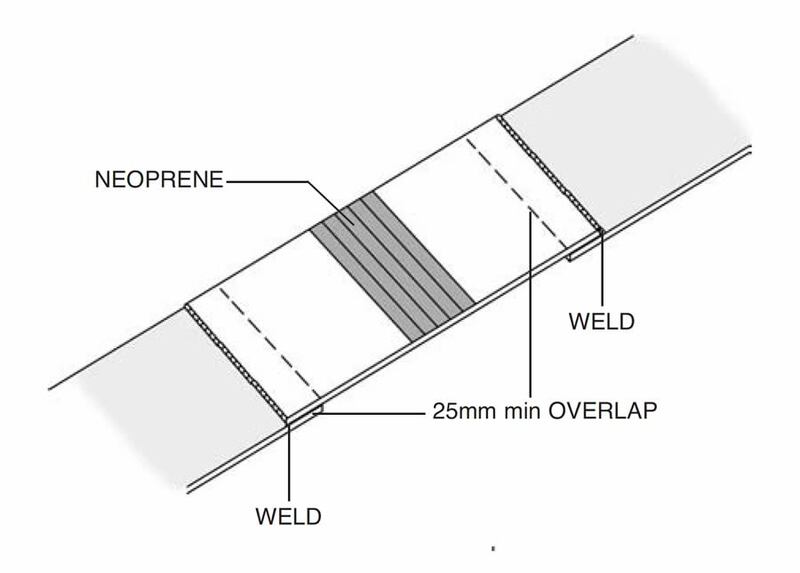 For lead, the traditional lead sheet welding technique for a flat lapped seam is used. A single loading should be sufficient for Code 5 lead, but where the T-Pren joint is on top of a lead sheet of Code 6 or higher, two loadings may be beneficial. 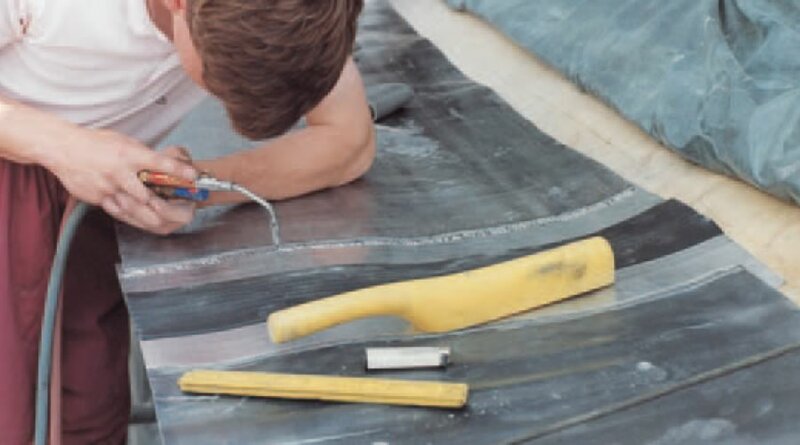 Jointing is easiest on flat sheets but in certain situations the metal sheets and T-Pren joints have to be pre-formed to shape before jointing. The jointing will then require extra care, particularly on the vertical sides. 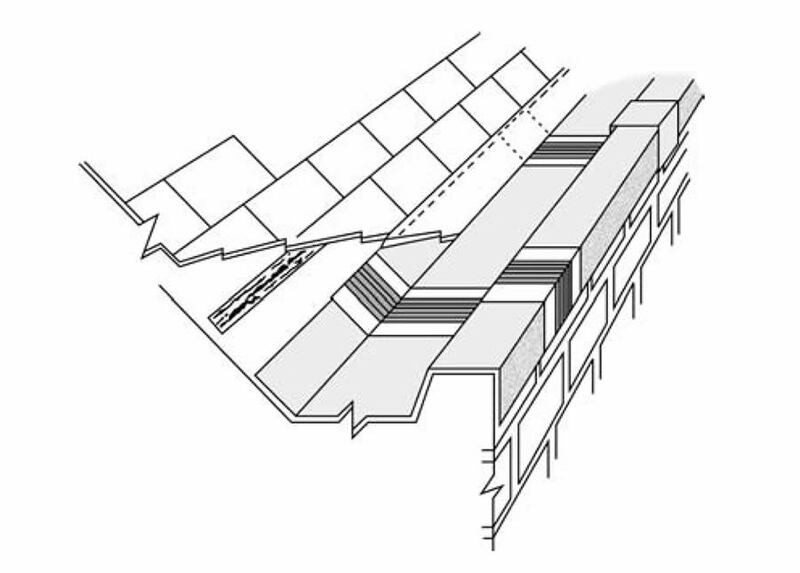 The gutter lining with the T-Pren expansion joints is then formed to take up the shape of the gutter, placed into position, and cover flashings formed over the sides. Where heavy foot traffic is expected in the gutter or where the T-Pren joint is visible, T-Pren Plus can be used or a cover piece of the matching metal is clipped over the neoprene section, making sure that it does not restrict the movement of the joint. The T-Pren joints should be regularly checked for damage from foot traffic etc., and where this has occurred another T-Pren section should be fixed over the top. This is usually preferred to the alternative of removing the old T-Pren joint, and although the additional height may cause water ponding this will not affect the life of the joint. The normal health and safety procedures for welding, brazing, soldering and working with lead should be carried out. The correct protective clothing should be worn, ventilation provided for indoor work, and hands should be washed before eating or smoking.